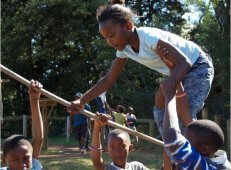 Our English and IT programmes are supported by residential Study Camps at Hobbiton Outdoor Activity Centre at nearby Hogsback. Study camps are led by volunteer teachers from the UK. Some 100 primary school children and 25 school leavers each year benefit from these. Study camps for primary school children aim to improve their confidence and competence in speaking English. 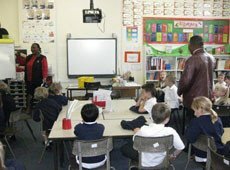 Formal teaching activities involve extensive use of games and songs. The children's teachers are also fully involved, working alongside the UK volunteer teachers and learning new teaching methodologies. 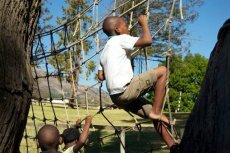 The children also enjoy outdoor activities – high wire, night-time hike, barbecue and other team-building exercises. Each year since 2014 we have also run a two-week long study camp for selected school leavers who are expected to do well in their Matriculation exams and go on to further/higher education or employment. These camps aim to prepare students for living independently; introduce them to common IT software and using the internet; and help them compile and format CVs. 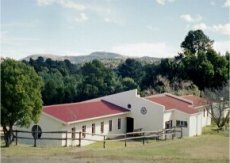 The first week is residential at Hobbiton and combined with outdoor activities; for the second week the students make their way every day to Fort Hare University in nearby Alice where there is internet access.